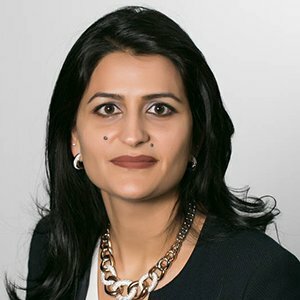 With over a decade of experience in IT, engineering, and program management, Shweta Kumar is responsible for managing the seamless execution of RGBSI’s business solutions on behalf of its clients, while surpassing their expectations. She manages a global team of program engineers, project engineers, and managers who are responsible for providing engineering and quality solutions to clients worldwide. Holding a Master’s of Science in Computer Science from the Illinois Institute of Technology and a Bachelor’s degree in Computer Engineering, Shweta works closely with RGBSI’s engineering teams to ensure all resource requirements for various technical projects/solutions are being met at all times. Prior to working with RGBSI, Shweta was at Daimler Chrysler and had the opportunity to work on Hybrid Electric Technology in its infancy years. She received a patent on a technology while working there. Managing the end to end process for all our clients, Shweta works closely with the engineering, quality, and sales teams. Part of her role is to setup a delivery process for each new client, ensuring all resource requirements and capabilities are aligned. Further, Shweta works closely with RGBSI’s recruiting team to identify new resources and deliver the most qualified candidates for clients.